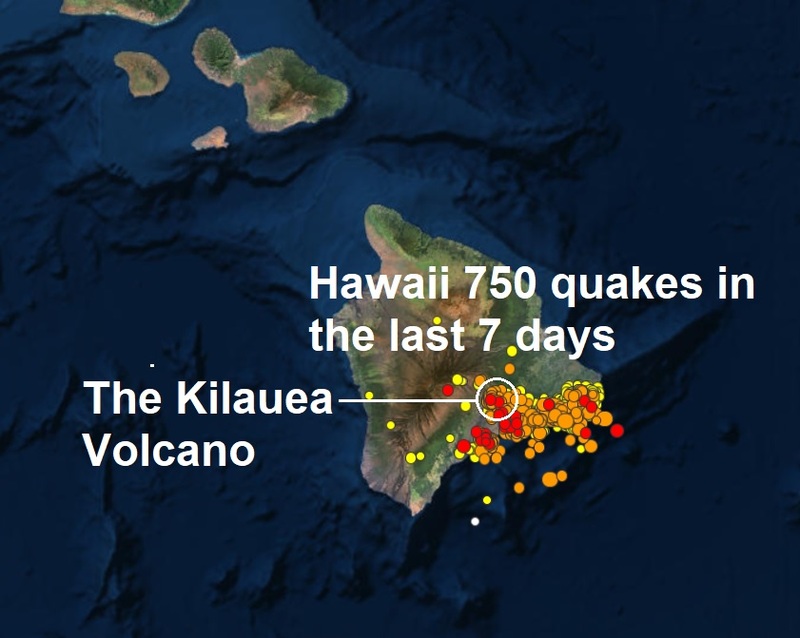 After 750 quakes of various sizes in the last 7 days and an eruption causing the evacuation of hundreds of people a powerful mag 6.9 - has struck the South Island close to the Kilauea Volcano in Hawaii. According to Hawaii News Now, the 6.9-magnitude quake, which happened about 12:30 p.m., was the largest in Hawaii since 1975 and generated small tsunami waves around the Big Island. Hawaii County Civil Defense said sea fluctuations ranged from 8 inches in Hilo to 16 inches at Kapoho. The temblor, centred on the south flank of Kilauea, was felt as far away as Oahu and triggered several landslides along the Hamakua Coast, including one that closed a lane for several hours. The temblor came about an hour after a 5.4 magnitude shook the Big Island on Friday morning, which was followed by a fifth eruption spewing lava into Leilani Estates. 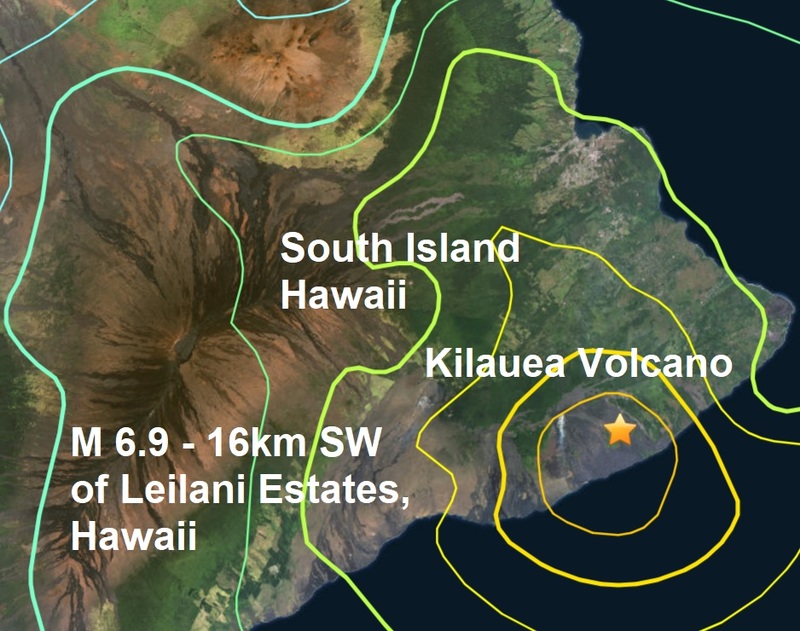 That quake was also centred near the south flank of Kilauea — about 18 kilometres southwest of Leilani Estates, the USGS reported.